This app only covers the 5 times table. All of the other multiples are in other apps and are available at a low price. 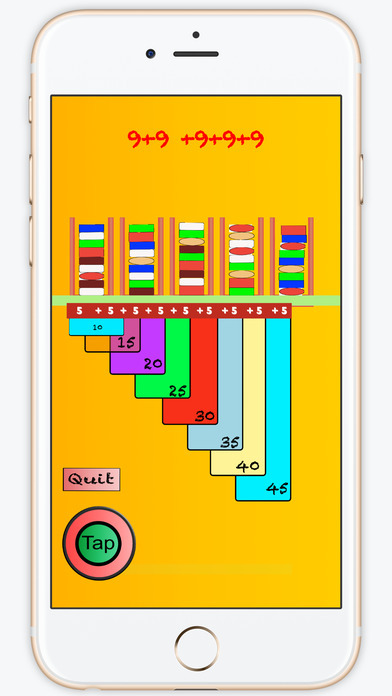 The two times table app is available for free. 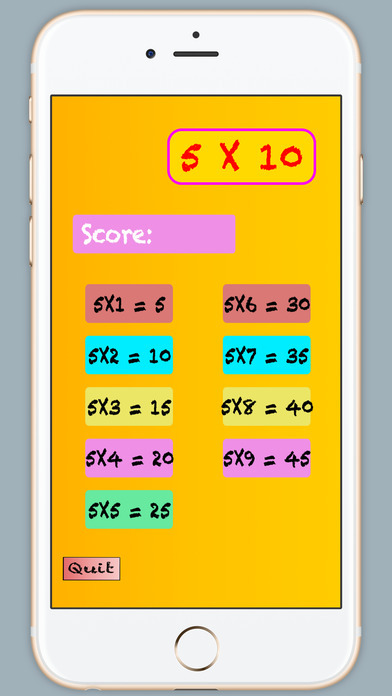 Times-5 is one of nine apps (Times-2 to Times-10) designed to enable the memorization of basic but essential math facts. Users are encouraged to discover and learn through the use of engaging graphics and speech.